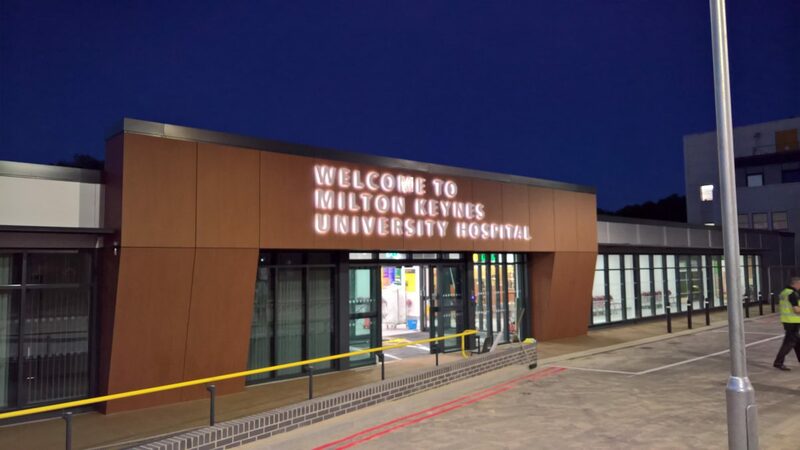 Royal Stoke University Hospital is one of the largest hospitals in the country run by the University Hospitals of North Midlands NHS Trust. The hospital is currently experiencing a severe bed shortage due to a high number of admissions and a large number of acutely unwell patients in the wards. 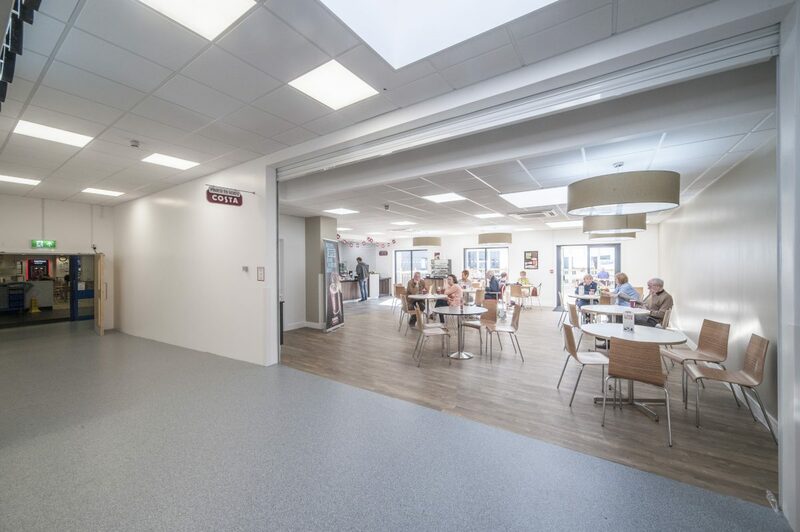 The impact of this is that performance and patient flow across the hospital is negatively affected by the number of post-procedure patients who remain in specialist wards when they could be convalescing in general wards. 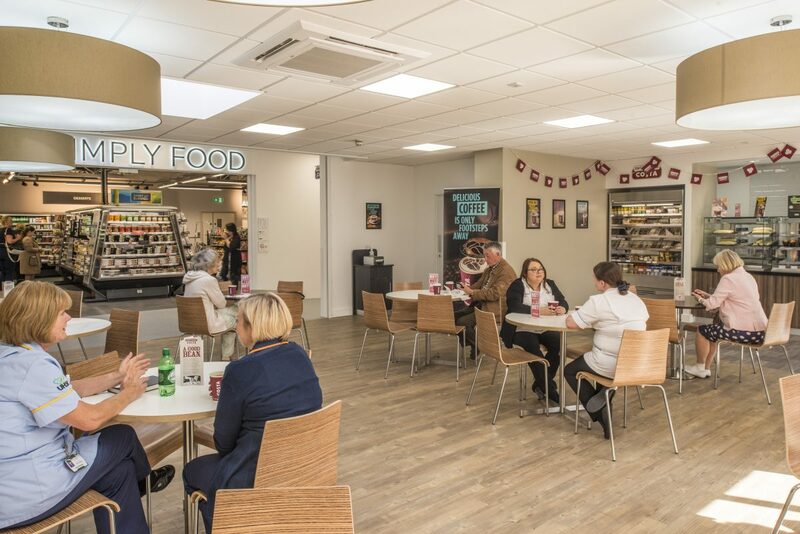 Bowman Riley was commissioned to provide designs on a new modular development to increase the capacity of acute beds by a further 110 and create a retail space. 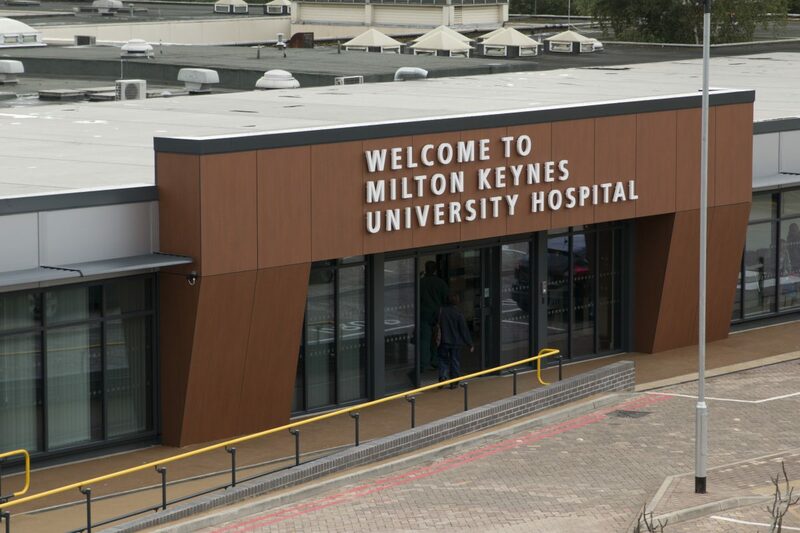 The new development will be located at the front of the main entrance in an area that is currently occupied by landscaping, patient drop-off area, cycle parking (to be relocated) and a freestanding canopy structure. The main entrance of the hospital needs to be open 24/7 resulting in the need for a comprehensive phasing strategy. 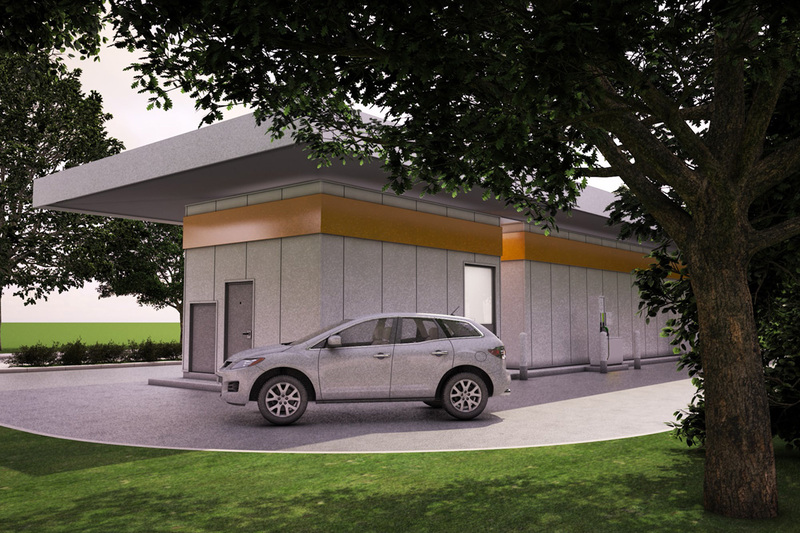 An additional challenge is the underground services and sub-level mortuary combined with financial and legal challenges in abutting new building to an existing PFI. Bowman Riley’s team will be working in close coordination with Trust’s estate’s team and the hospital operators. 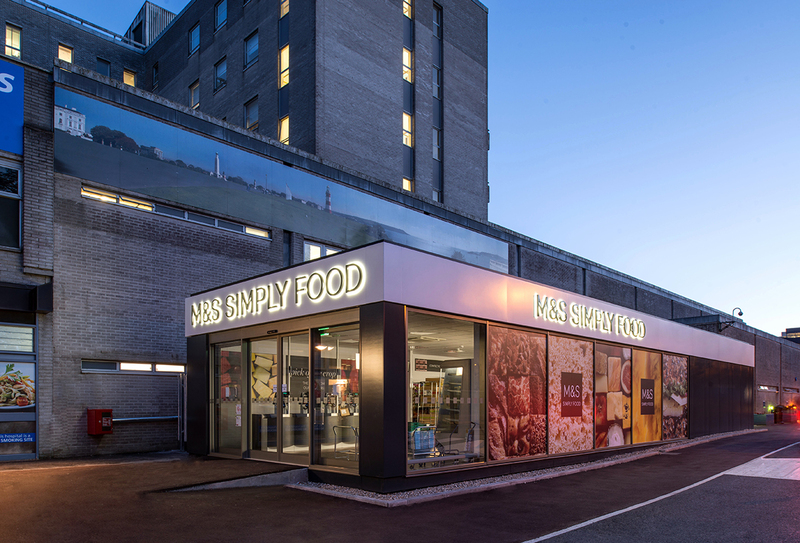 Bowman Riley designed a new modular M&S store at Derriford Hospital in Plymouth, a large teaching hospital serving Plymouth, Devon and Cornwall. 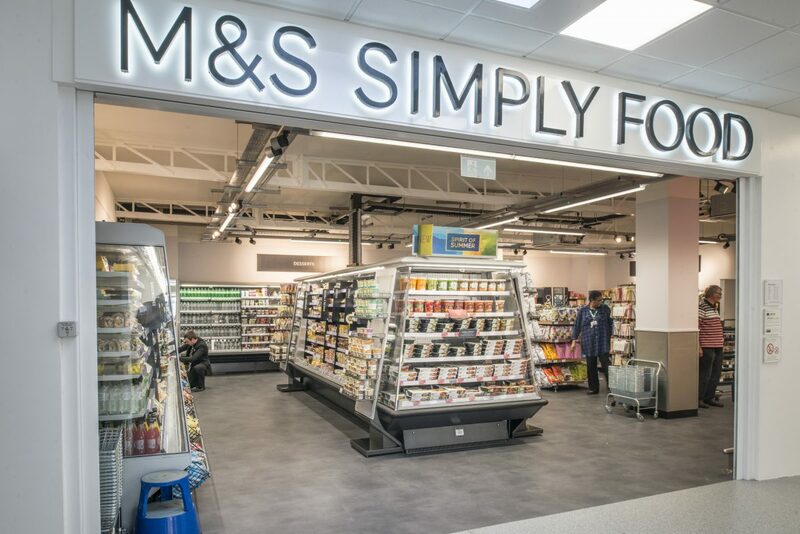 We worked together with the Plymouth Hospitals NHS Trust, M&S, Catfoss, Wates Construction and the local authority to deliver the 158m² (1700ft²) freestanding single storey retail unit occupied by M&S Simply Food adjacent the main hospital entrance. 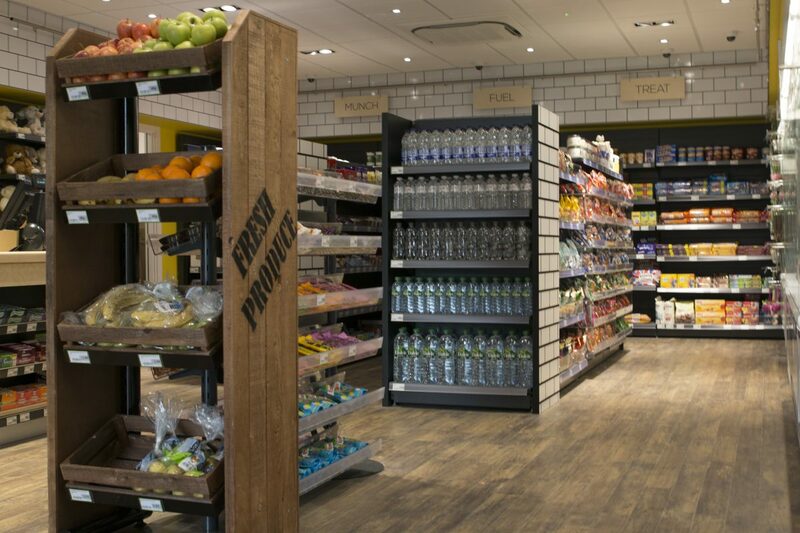 The unit was designed with prominent graphics on the roadside frontage to add visual appeal and colour at the entrance. Clear glass was used at the corner to avoid pedestrian conflict due to reduced visibility. 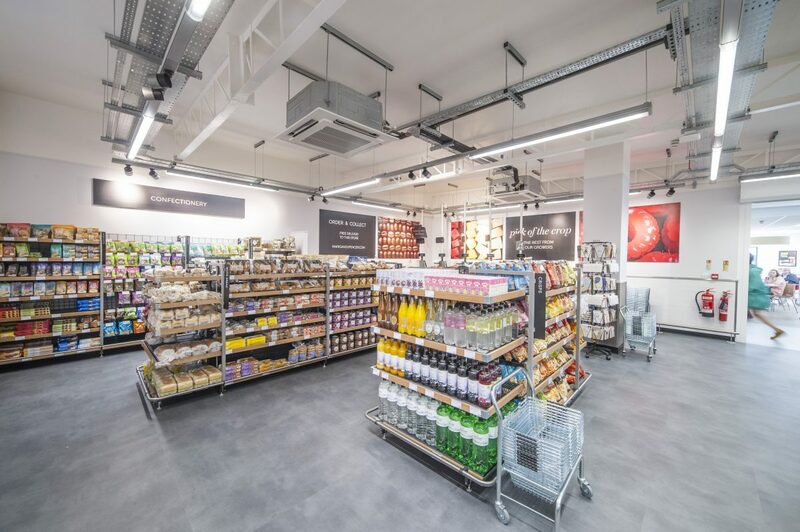 Constructed with a hot-rolled steel chassis, the walls to the new unit are insulated cavity walls constructed from timber with external cladding to hide the modulation joints. The unit was constructed within a controlled environment, which vastly reduced the time spent on site and provided less material waste. 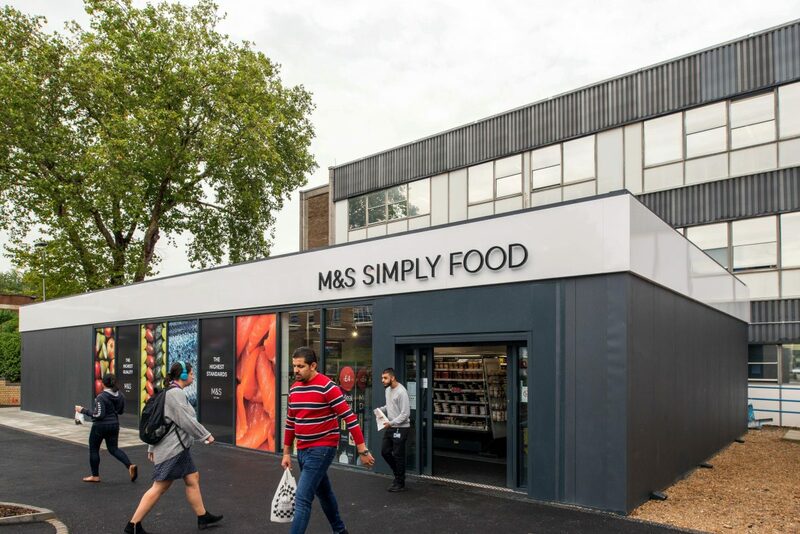 The building was delivered to site in seven modular sections and erected in just seven hours. 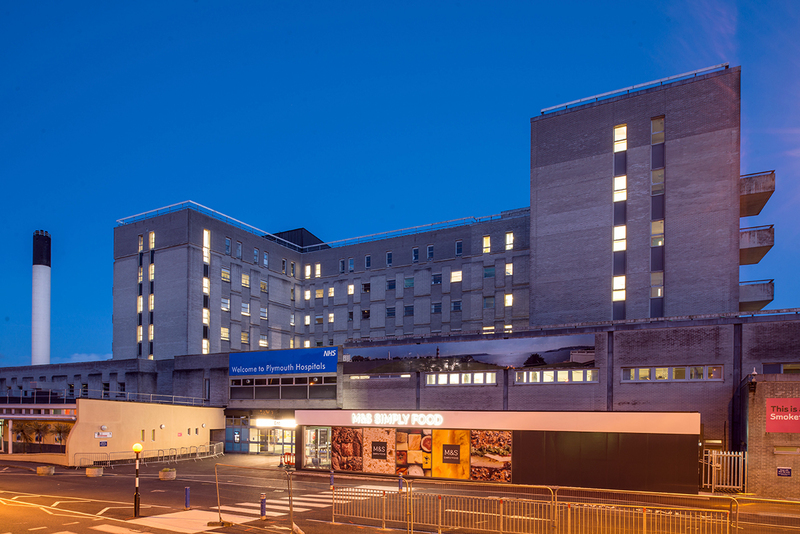 The quick installation time meant that site works were kept to a minimum and normal air quality conditions were maintained – crucial for a healthcare environment. 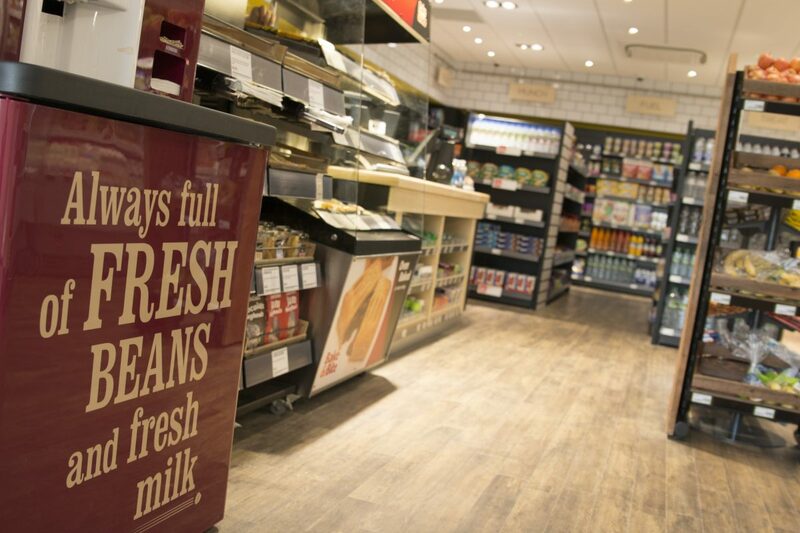 Final fit-out was conducted within 10 working days keeping disruption on site to a minimum. 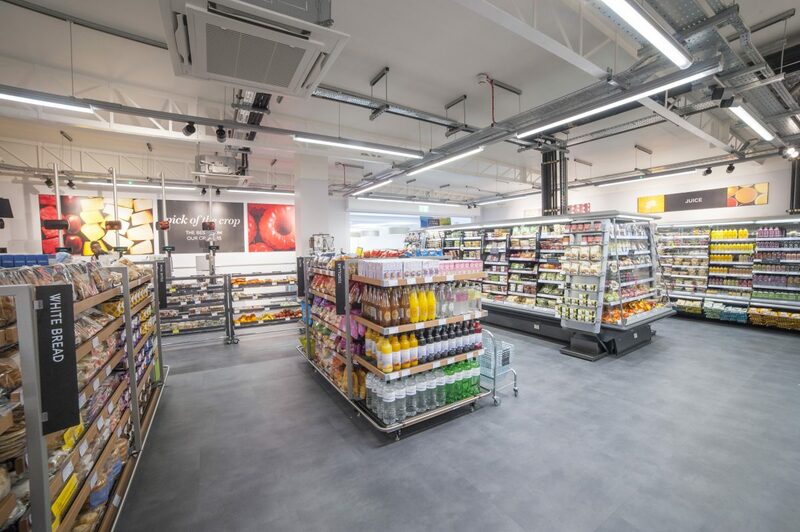 The quality control was such that the building fully met the expectations of the contractor and was handed over with no snagging required. 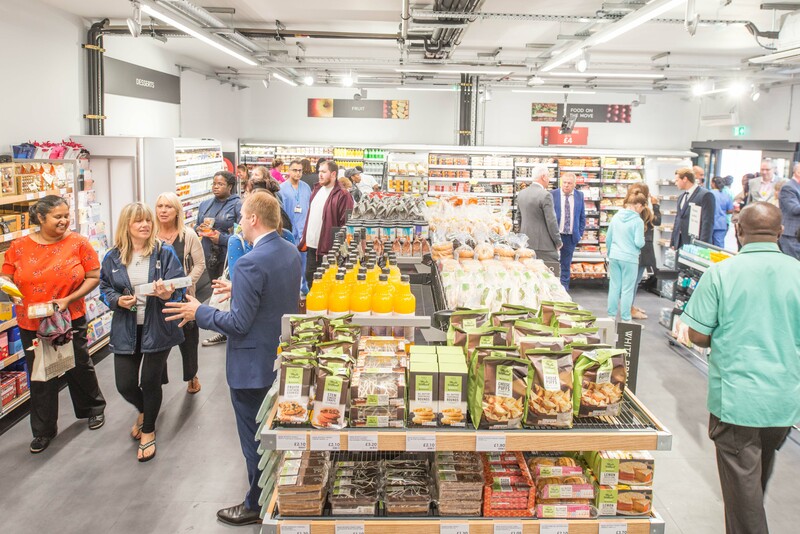 The store opened on programme and ready for trade as planned offering a new on-site retail facility for hospital patients, staff and visitors. 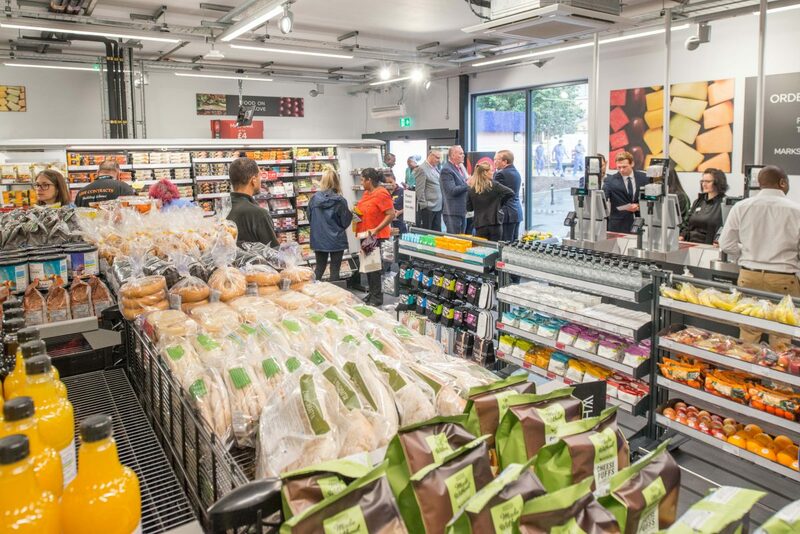 The retail facility is currently exceeding predicted sales targets. 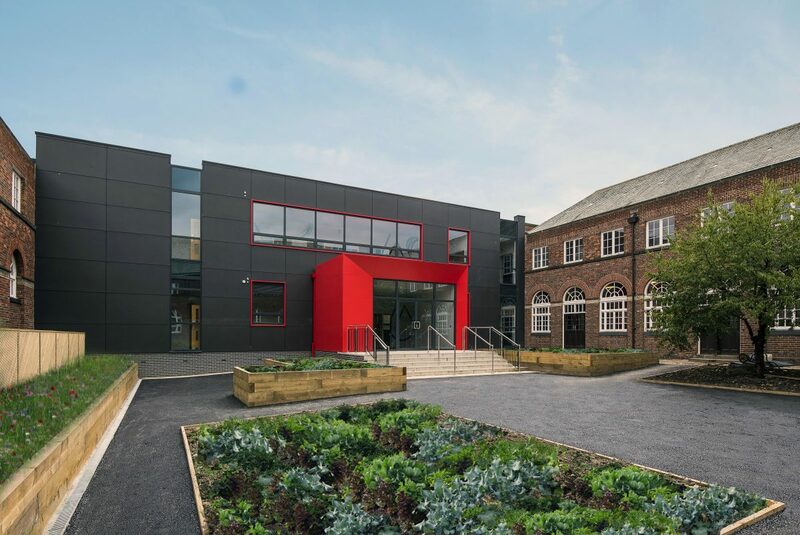 Bowman Riley designed a new science building for Harrogate Grammar School, an independent academy trust, with over 1,850 students including over 550 in the Sixth Form. 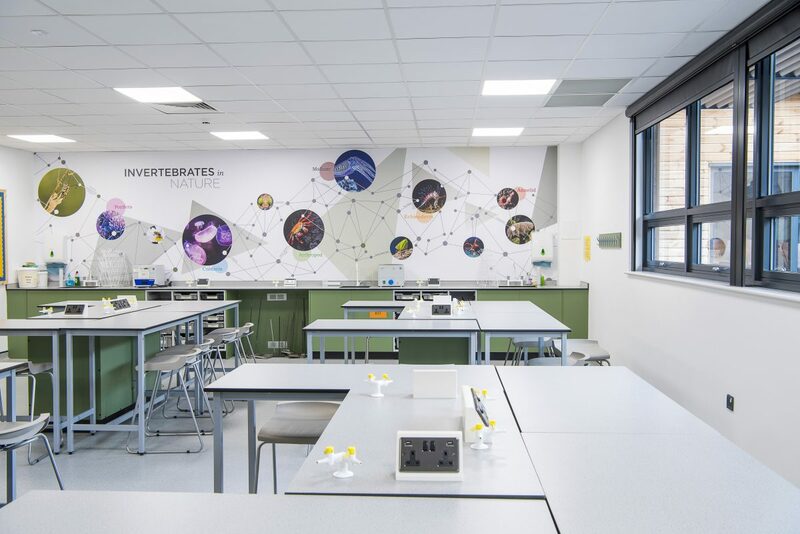 Science is a key area of the curriculum and the creation of first-class facilities help further students’ enthusiasm for the subject. The new building replaced a crumbling 1950s science block that was built at a time of austerity to a much lower standard than the original 1930s stone and brick school. 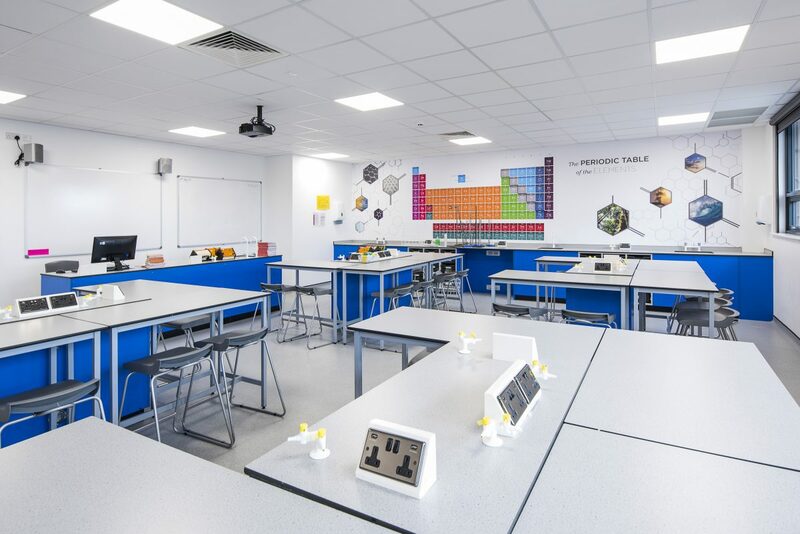 Harrogate Grammar School received £1 million funding from the Education Funding Agency to create the new science facilities. The funding was received in the April and the new building was needed by September in time for the start of the new academic year. 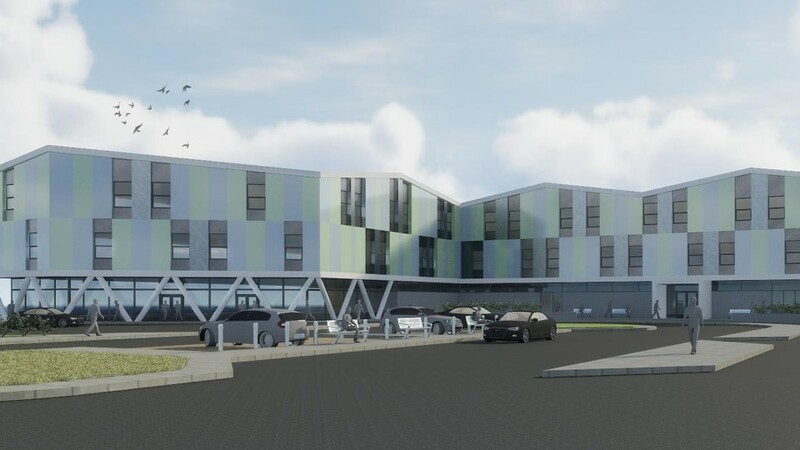 Bowman Riley proposed a modular building to enable the new facility to be delivered on a fast track basis with erection off-site to minimise disruption to the operations of the school. The design features a striking entrance and contemporary facade that are juxtaposed between the classically detailed existing building to create a prominent addition to the campus. 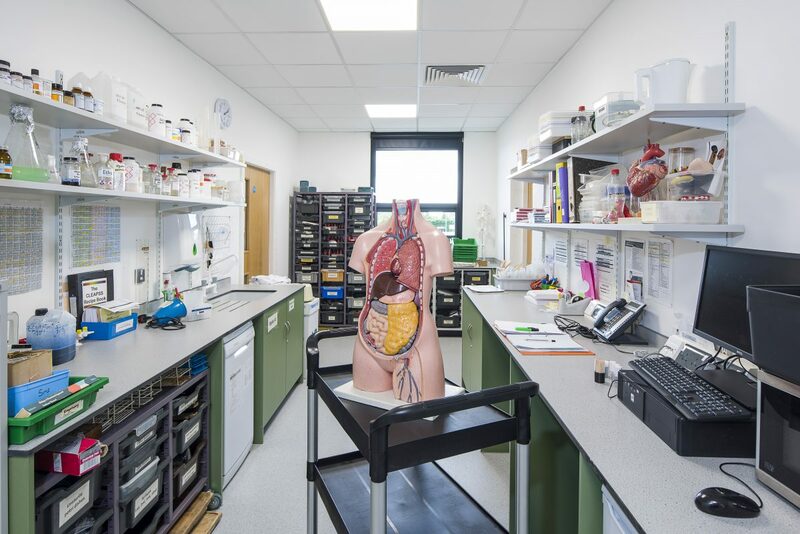 The building houses four new laboratories and a preparation room with a new link corridor on the ground floor level to the existing school building to reduce congestion at the busiest area of the school. 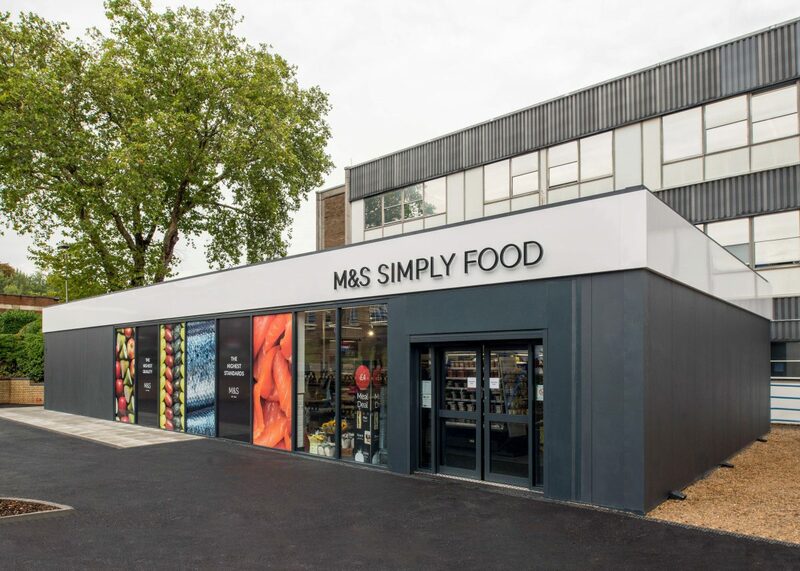 Bowman Riley designed a modular 200m2 retail unit to be occupied by M&S Simply Food store at Whipps Cross Hospital in Waltham Forest, London. 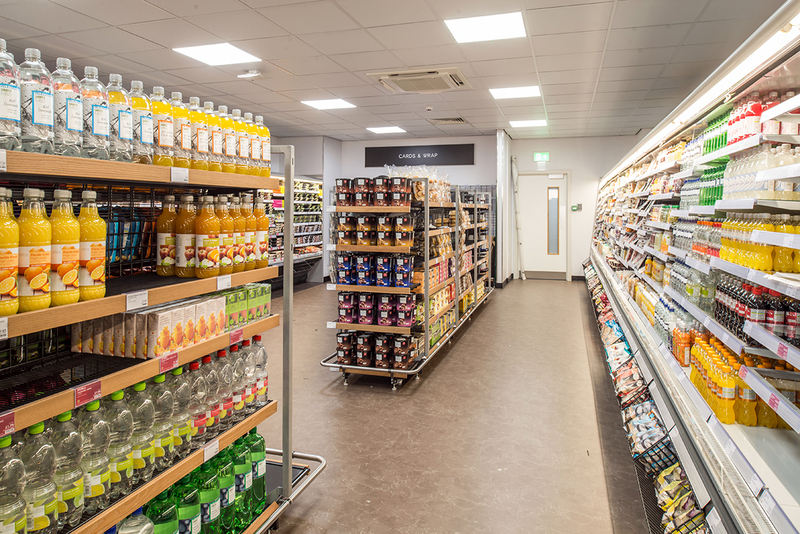 Based on the success of previous M&S retail units on hospital sites in Plymouth and Derriford, we worked with leading modular manufacturer, Catfoss to deliver the new retail unit to offer increased food and beverage options for patients, staff and visitors. The new facility also brings much needed additional revenue to the hospital. 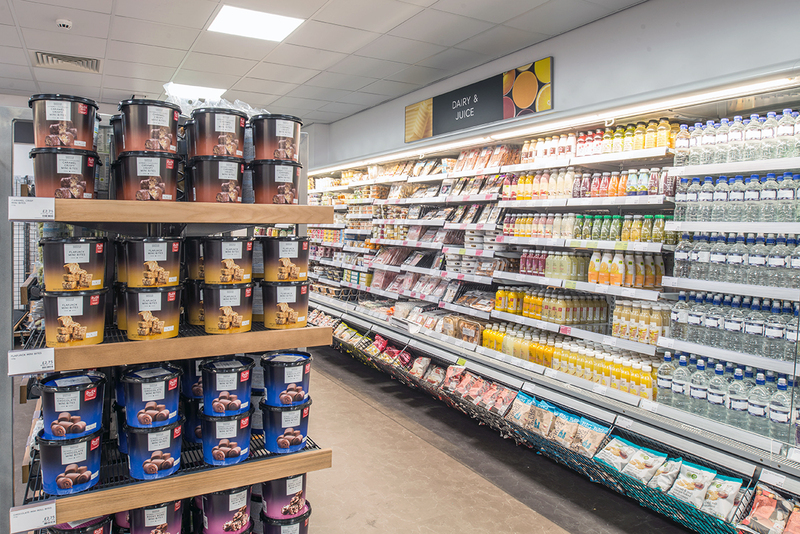 Our brief was to support the project through the process of conception to installation. We submitted the Planning application and liaised with the planners to gain approval for the scheme before initiating discussions with the approved building regulation inspector. 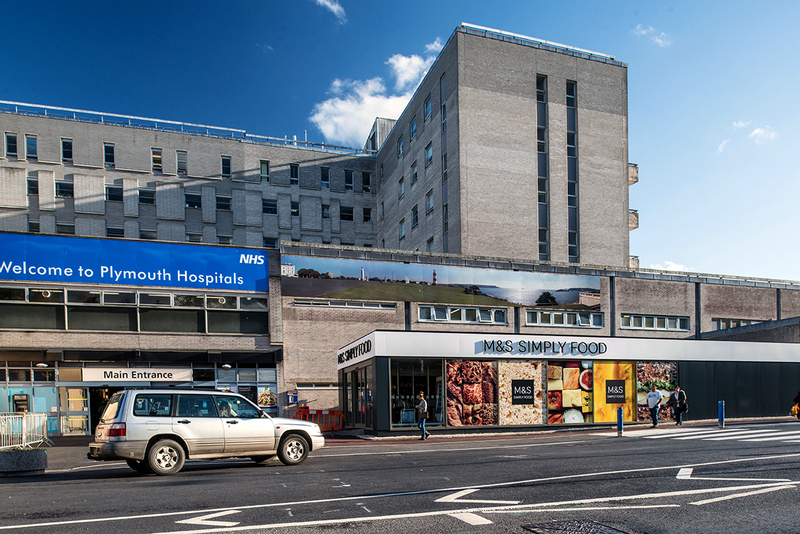 We co-ordinated plans with Barts Health NHS Trust officials and M&S, on behalf of the modular manufacturer. 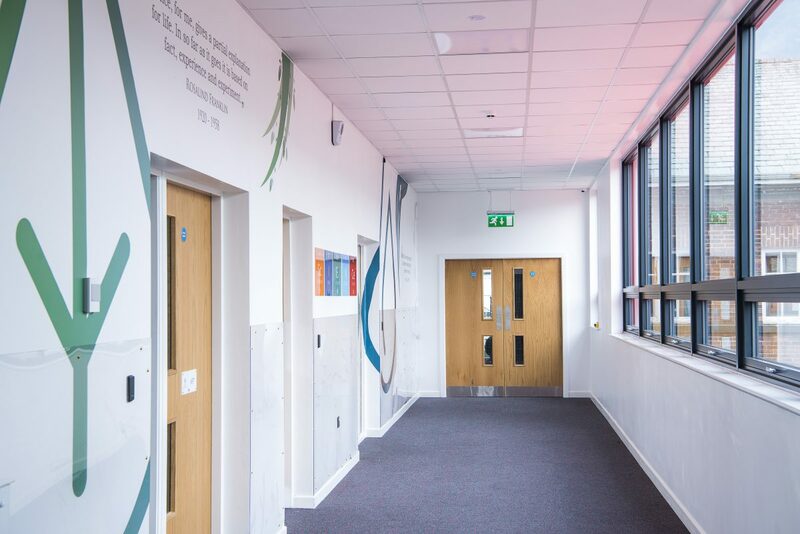 Adjacent to the maternity ward, it was crucial for the construction works to be considerate of the live hospital environment during the short on-site phase. 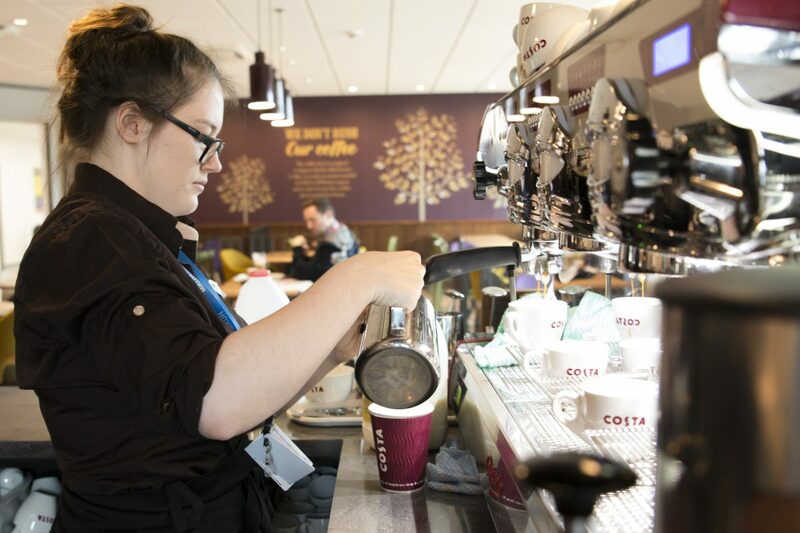 The works were completed on time and minimised disruption to the operations of the hospital. 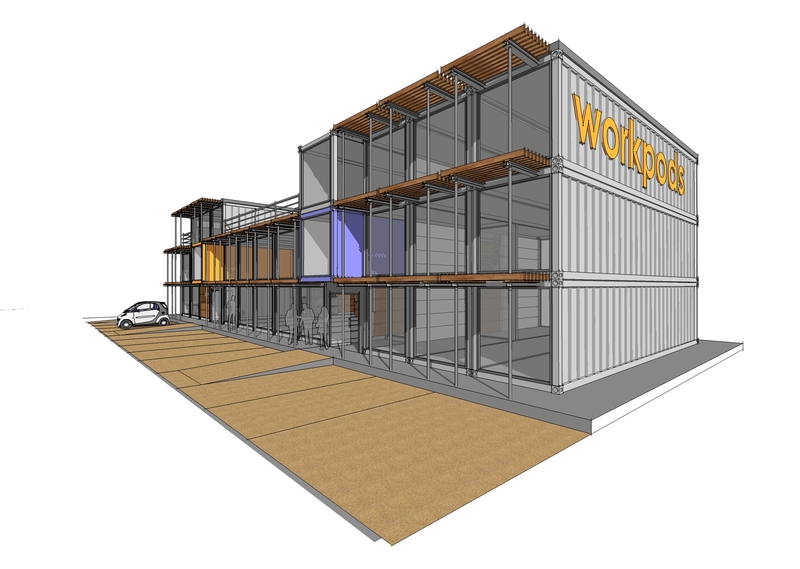 Bowman Riley was commissioned by Urban DNA to produce a concept scheme and designs for the conversion, refurbishment and re-design of former shipping containers into modern, open plan office spaces. The concept entitled Urban Studio was to produce rentable office spaces that could be quickly and efficiently manufactured and fitted out off-site resulting in minimal on site construction time. The Urban Studios concept delivers a modern office space in a fraction of the time it would take to construct a traditional building. 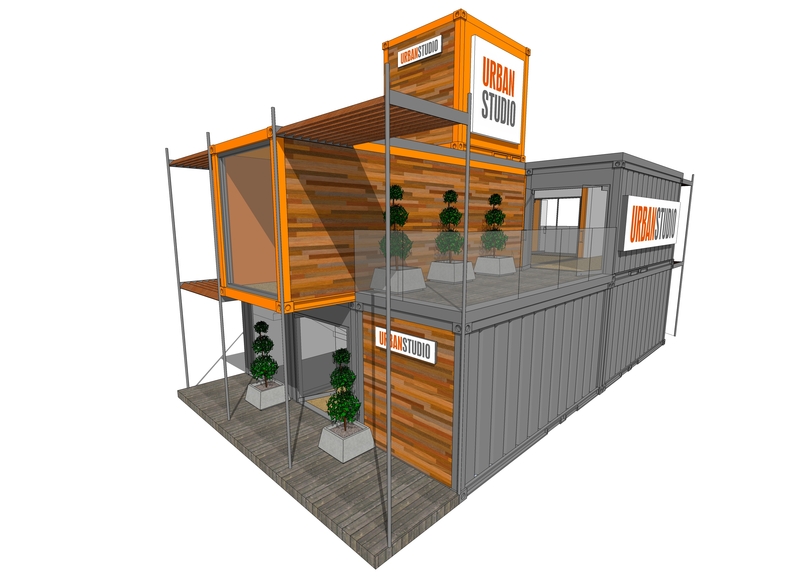 The design for the Urban Studios provides modular, stackable pods with the opportunity to expand the space over time either upwards or horizontally by linking additional containers together to create further space. The focus was to provide sustainable designs incorporating modern eco-friendly technologies including: green roofs, wind turbines on the roof, rainwater harvesting and solar panels. 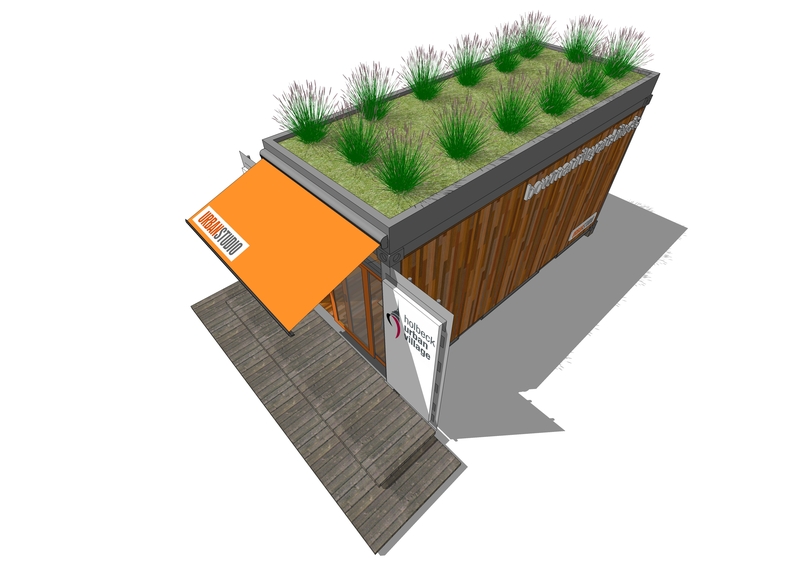 Bowman Riley designed the conversion of a shipping container into a pavilion for the Great Yorkshire Show. The pavilion was designed as a marketing suite to launch the Urban Studio concept to potential clients. 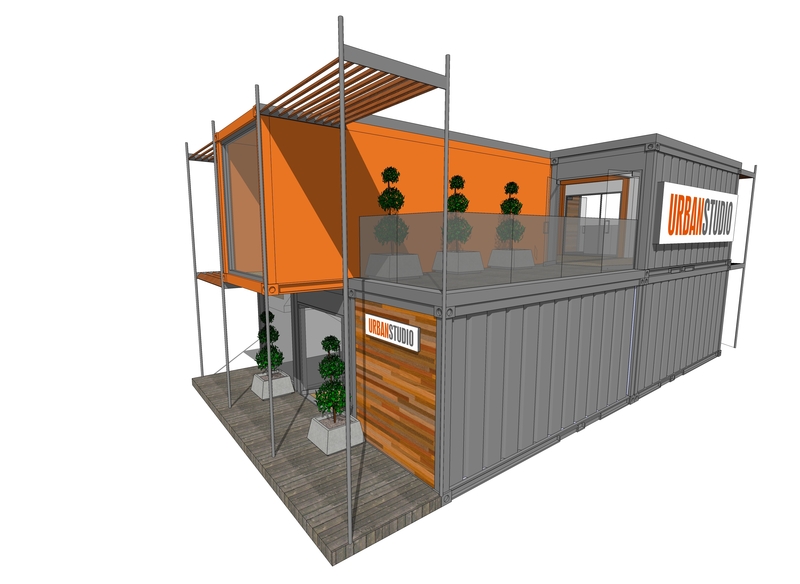 For Holbeck Urban Village in Leeds city centre, we designed the transformation of a shipping container into a multi-purpose pod to promote the regeneration of the Holbeck area as a new quarter for the city and to showcase the Urban Studio concept. 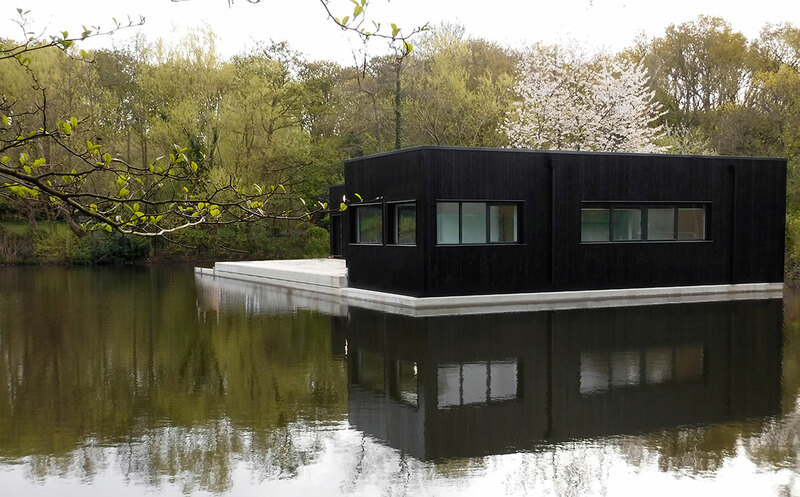 Bowman Riley designed a new modular changing facility at Kenwood Ladies’ Pond. This open air swimming pond and secluded meadow is on Hampstead Heath in North London and run by the City of London. Opened to the public in 1926, Kenwood Ladies’ Pond is used throughout the year and the new facility was needed to open in time for the particularly popular summer months. The existing building was located on dam and had to be demolished in order to undertake repair work to the dam. It was also run down and in need of replacement. The project was originally conceived to be traditional build; however, the facility could not be delivered in time. 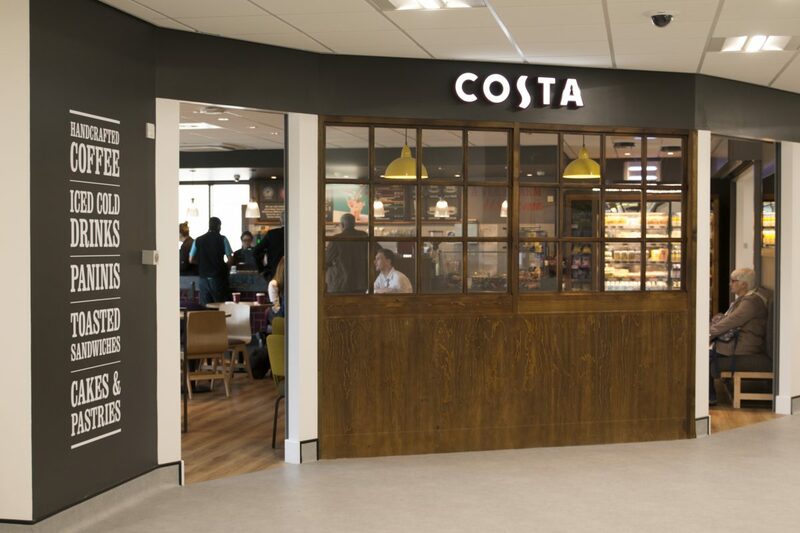 Modular manufacturer Catfoss was brought in to provide a modular solution and Bowman Riley was commissioned to redesign the original concept in a modular format whilst maintaining the original specification required by the client. 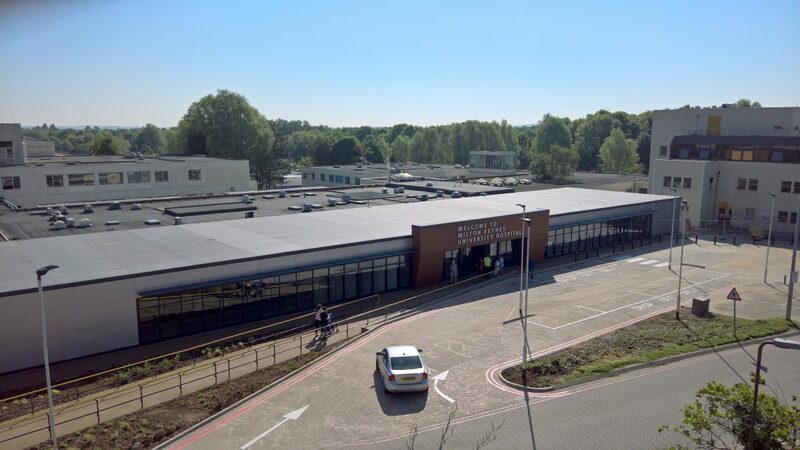 The facility comprises two buildings; the first accommodating internal and external changing rooms and showers and the second, a lifeguard observation room, an office and disabled facilities. 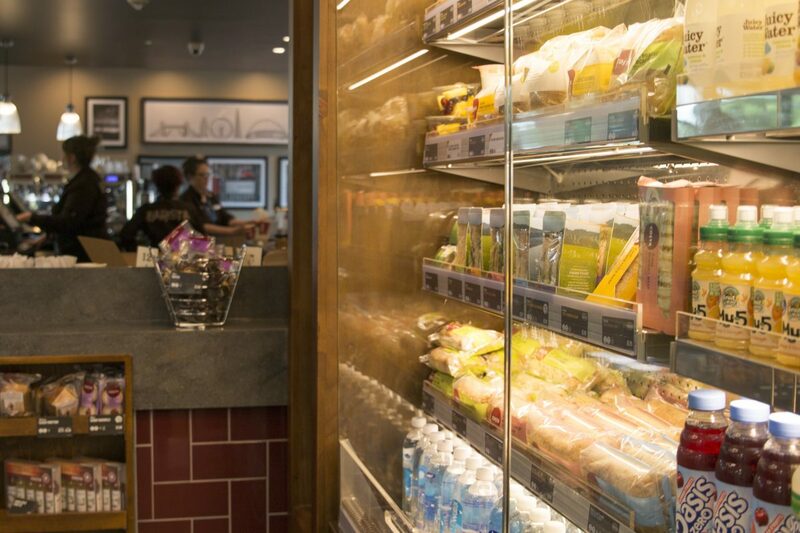 An innovative solution was designed to create a facility that would be fully accessible. A level threshold for the building was needed for accessible entrances and exits. A new concrete deck was laid by BAM Nuttall and concrete pockets were created to locate each module ensuring level thresholds. 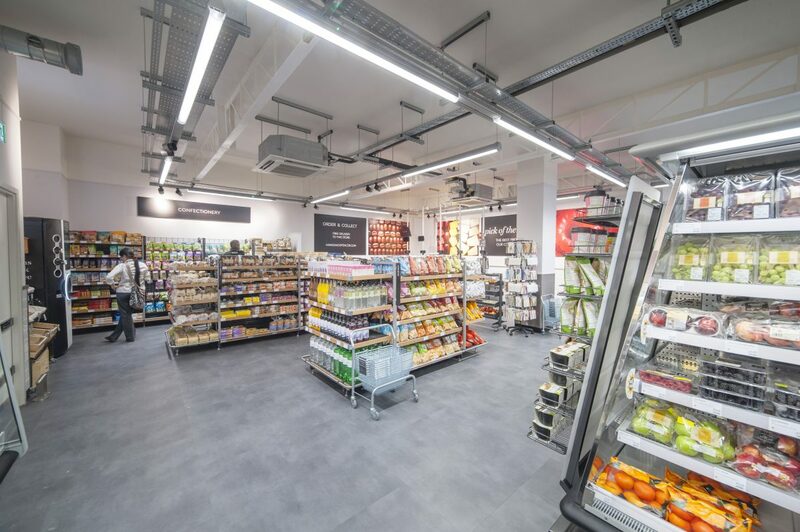 The building was manufactured off site in large aircraft hangers in Driffield, North Yorkshire and erected on site in April 2016 in time for the busy summer season. 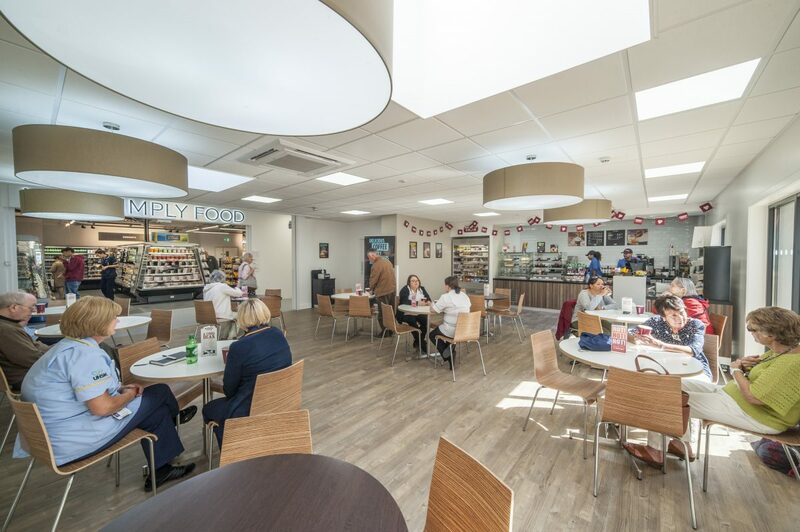 Bowman Riley designed 974m² single storey modular offices and conference room facilities for the national charity and care provider, Sue Ryder at their Manorlands hospice in Oxenhope near Keighley. The project followed Bowman Riley’s team working with the charity on a volunteer basis to create a new garden at the Hospice. 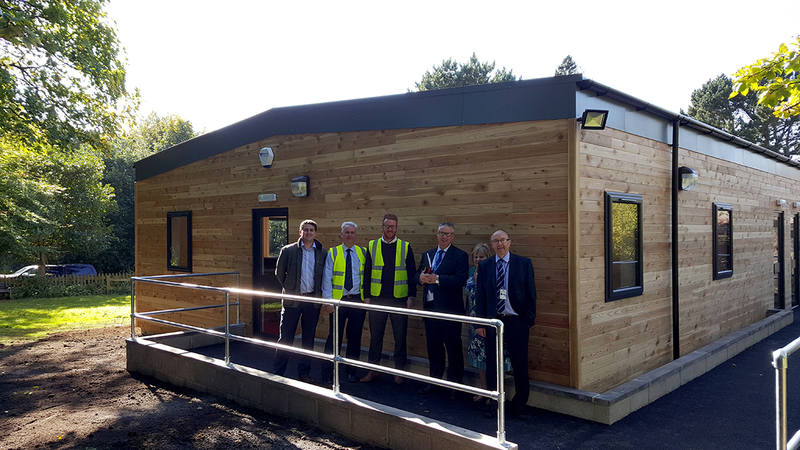 The new modular facilities enable the charity’s clerical staff to move from an inadequate and cramped attic space in an existing building into appropriate, operational office space situated on a grassed area surrounded by protected trees. 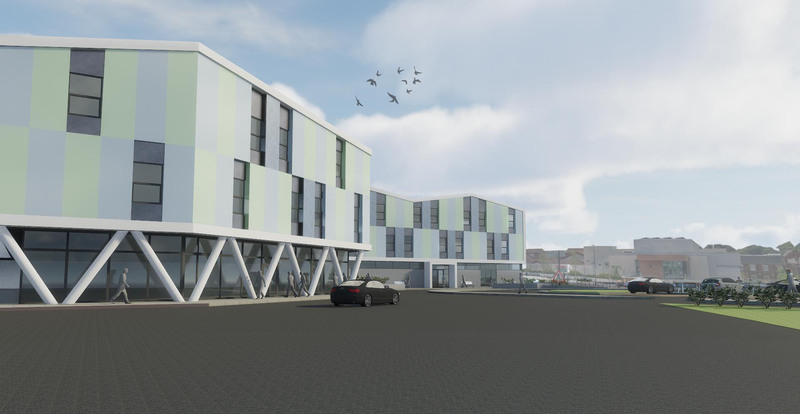 Pivotal from the outset, Bowman Riley’s role was to gain full planning approval for the development and to support Sue Ryder through the tender process involving assisting with selecting a modular building supplier. We then also provided an overseeing role during the works. the roof was in place the day after and subsequently the timber cladding was completed. The hospice staff are delighted with their new accommodation and looking forward to occupying the new premises. As a result of the successful project at Manorlands, Bowman Riley been commissioned to work for Sue Ryder at their premises in Bedford. This project involved consolidation of several laboratory sanitisation services on a large scale site to be in one centralised location. The accommodation was to include increased capacity for short and long term storage, the services of a new necropsy facility, central laundry and Autoclave. Due to the large nature of the site, five options for this facility were possible. A detailed risk analysis was produced identifying all related risks from operational (including staff safety and welfare), to loss of lab allergen control. The building is designed is to have the capability to be extended in the future with minimal disruption to the operations of the building. 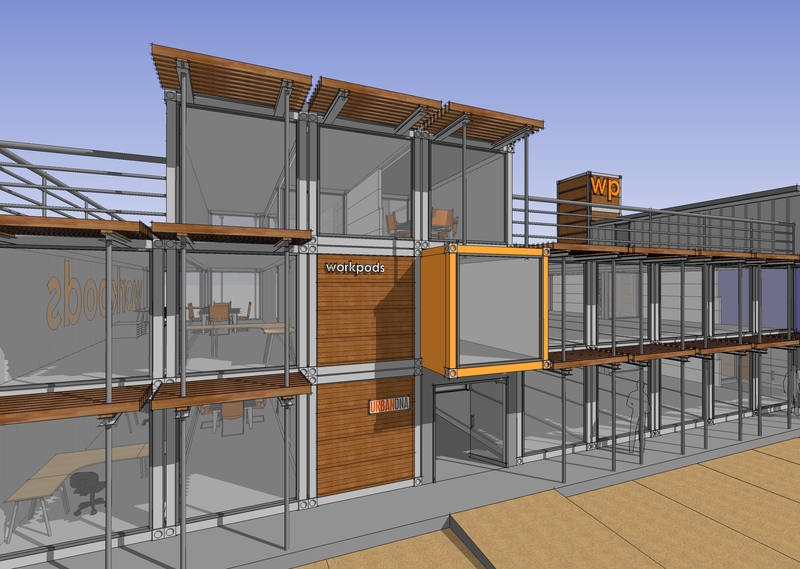 Modular construction would enable the building to be almost entirely built off site to a high standard. 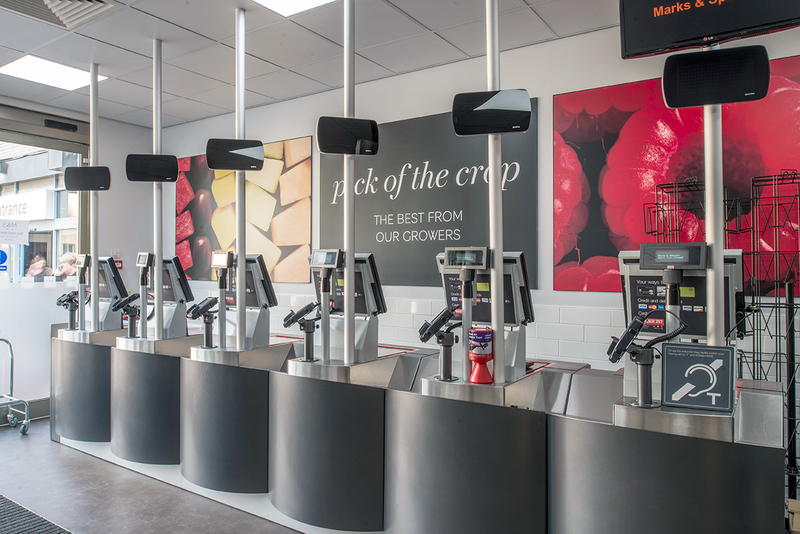 This would be a quicker construction programme than a conventional build, enabling the facility to be operational earlier than expected.